What a week! Electronic/folk/indie rock act, The Helio Sequence are the third band this week to release brand new music for the first time in four years (see reviews for ‘The Killers’ and ‘Bloc Party’) and it is a much welcome return. Since 2008’s brilliant ‘Keep Your Eyes Ahead’, it appears that time spent touring with Keane in 2009 has rubbed off on the Oregon duo. The influence of playing bigger venues is clearly evident for vocalist/guitarist Brandon Summers and keyboardist/drummer Benjamin Weikel both in terms of their sound and songwriting. ‘October’ is lush, grand and ambitious and it totally succeeds. The song builds gently adding textures of sound in increments, slowly but surely sweeping you up in its sombre and nostalgic qualities. As the song develops, one thing that becomes more and more apparent is just how MASSIVE ‘October’ sounds. The drums are huge, the choruses even huger and Summers’ impressive vocal boasts a bigger range than ever before even recalling melodies not too dissimilar than those of the aforementioned Keane. It’s after the first chorus that the guitars come into focus and take on a bigger role with ‘U2’-esque reverberation echoing up into the corners of the room. The usual folk element that runs through so much of The Helio Sequence’s music is noticeably absent here. The production perfectly supports the song, sharing a similar production quality to “Use Somebody” by Kings of Leon with the use of reverb and space resulting in a stadium-like echo and creating an atmosphere that only serves to make the song and the emotions even bigger. 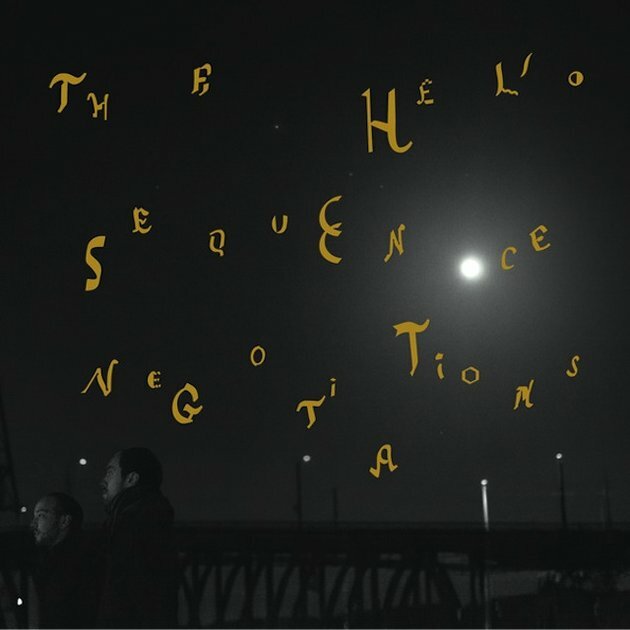 ‘October’ is stunning in every sense and judging by this track, the duo’s forthcoming fifth album (“Negotiations” – available September 11, 2012) could just be the album that propels The Helio Sequence into the big time. Download the song for free right now via the Sub Pop website. Cover art above is for the album ‘Negotiations’.